When shy but clever Fanny Price is sent away by her overburdened parents, she must learn to navigate life as the poor relation at her aunt and uncle's wealthy estate. Playwright Kate Hamill, known for her "rollicking, heartfelt 'Sense and Sensibility' and a naughty and frantic 'Vanity Fair'" (New York Times), brings her unique sense of playfulness and theatricality to Jane Austen's classic tale of social satire and the quest for romance. "...Hamill is a very talented writer but this show has little of the warmth you expect when you watch Austen, especially at this time of year. This feels like a bit of a bait and switch � selling tickets on the back of the Austen name and then blowing up her worldview. Sure, it�s a free country, for now. But even the most deconstructive of adaptations needs to honor the rich ambiguities wrought of a novelist who felt and thought on a level of which most of us merely can dream." "...Stuart Carden's energetic production unfolds gracefully, thanks in no small part to his excellent cast. Kayla Carter's performance as Fanny balances well her character's charm and amiability with the need to provide a sound moral center to the story. Carter's Fanny, like all Austen heroines, is no pushover. Likewise, Heidi Kettenring provides fire and steely backbone as Mrs. Norris, Fanny's martinet of an aunt. All of this plays out on Yu Shibagaki's simple, elegant, infinitely practical set." "...As always, upon entering the Northlight Theatre at The North Shore Center for the Performing Arts, I am wowed by what they do with their sets. Being an open stage with no curtain, must make it a bit more difficult for the director and designer, but somehow, they continue to amaze me. 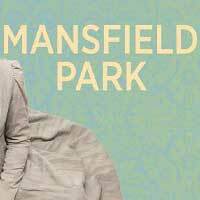 The current production, a new adaptation of a Jane Austen novel, �Mansfield Park� written by Kate Hamill. This is a story that goes deep into the hearts and souls of the wealthy versus the poor. �Mansfield Park� is an estate of extreme wealth and therefore importance. What must one give up to forge ahead in life. This is difficult for men, but, for a woman, next to impossible." "...I understand why �Mansfield Park� is the way it is. And yet, I cannot say this is good despite its success. Because what it wants to do is commodify morality and culture and remove from theater any sense of intimacy or specificity for the sake of consistency and economic success. Nobody in �Mansfield Park� has to compromise their views because this is not a complex story; it�s a parable, and from the very beginning we understand what will happen. For me to say that this is a good experience would fly in the face of what I believe art to be, and it would mean that I didn�t listen to a word that Fanny said." "...Watching Northlight Theatre�s luminous world premiere stage version of �Mansfield Park,� Jane Austen�s third published novel (which was ignored by critics when it arrived in 1814, but became the most successful of her books during her lifetime), it was impossible not to wonder what the writer might make of her enduring cult status among 21st century audiences." "...Kate Hamill�s newest play is another adaptation of one of Jane Austen�s novels. Because the Empire English author dared to raise an eyebrow over families who made their fortunes in the slave trade, this story has been called controversial. Fanny Price, especially in Ms. Hamill�s play, is as contemporary a heroine as any of Austen�s characters. She�ll be remembered, long after the final curtain, for her modern outlook, her gumption to speak her mind and her determination to win the heart of a mate who�s her intellectual and emotional equal." "...Northlight patrons with fond memories of the company�s superb Austen adaptations of past seasons will have to adjust their expectations to less urbane dialogue and more concern with moral and social values. The adaptation is weightier thematically but it�s less fun. Still, the fine staging and outstanding acting are a major plus and Austen, even in low gear, remains a master worth any theatergoer�s time." "...The show is worth sitting through Act One or appreciating its inventive staging, to see how the play and novel come together in Act Two. The action worked well with the stunning set designed by Yu Shibagaki." "...This is not a perfect Austen adaptation, but it does maintain a sense of the sensibilities of her work. And that is mostly due to the central performance of Carter, whose internalized pain is palpable throughout and whose late outburst against her uncle (Mark Montgomery) is simply wonderful. Hamill has made far more here of the slaving aspect of the story than Austen did in her novel, but it�s fine: it makes the needle move more sharply in the play�s moral compass. And anyway the fact is that even less than perfect Austen is still some of the best entertainment you can get, no matter the medium." *The designation of "Jeff Recommended" is given to a production when at least ONE ELEMENT of the show was deemed outstanding by the Joseph Jefferson Awards Committee.